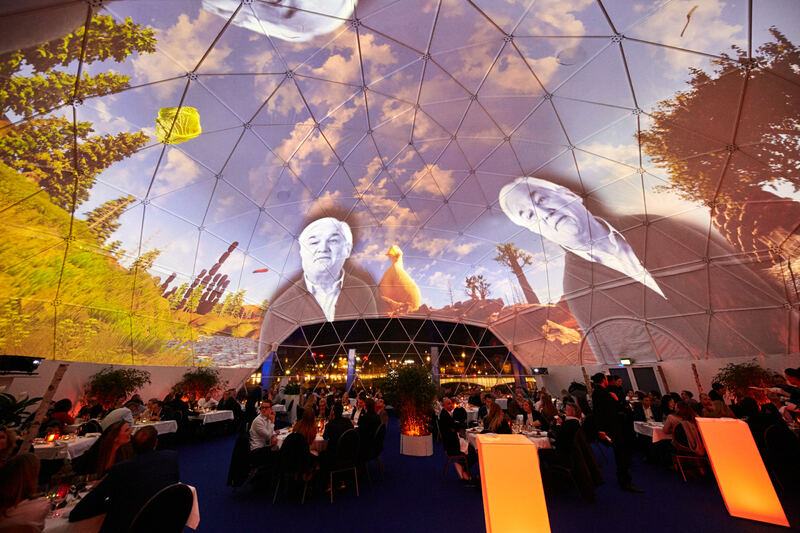 Projektil partnered with Fred Tschanz Management and dolce far niente event-catering to develop a very visual & tasty world trip – real and virtual, all at once. 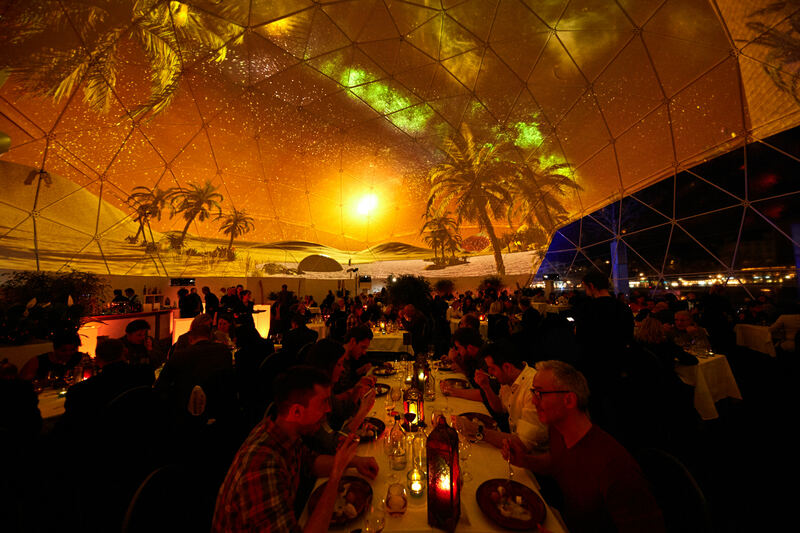 Five chefs created five dishes representing five continents. 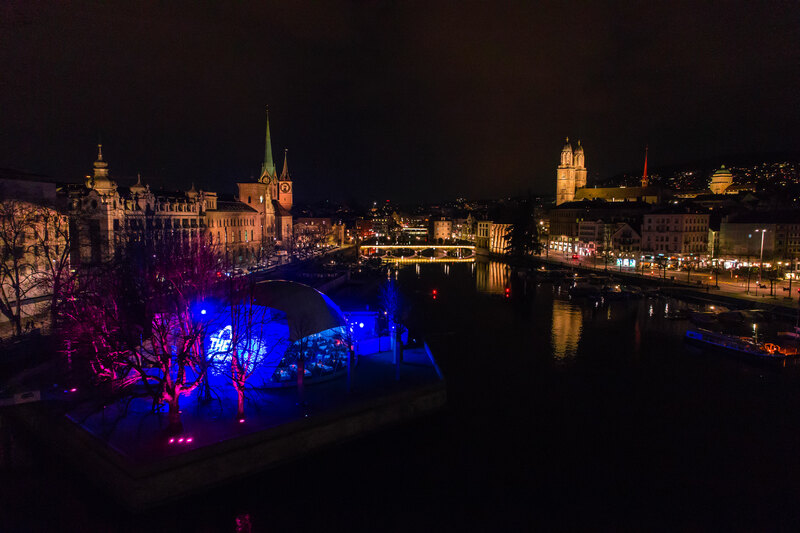 Thus, the event, which took place at Bauschänzli right in the heart of Zurich, was called The 5. 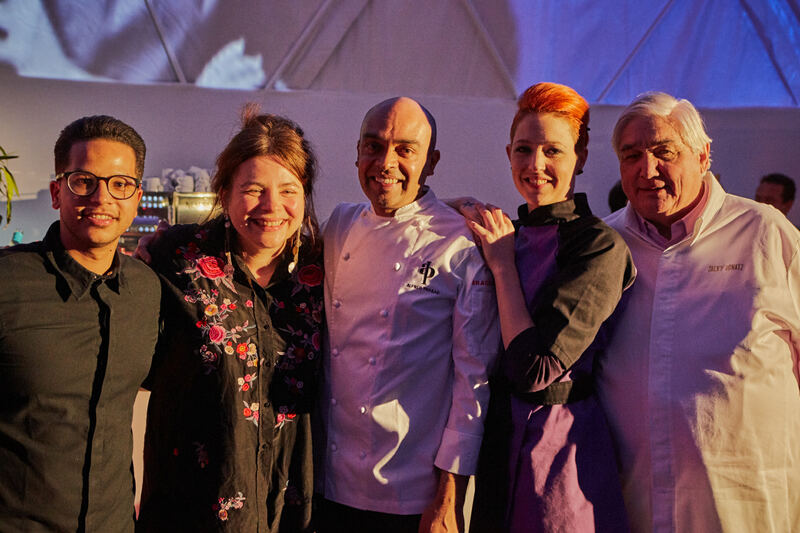 During one month, between February 2nd and March 3rd, the world-renowned chefs Maria Gross (GER), Meta Hiltebrand (CH), Alfred Prasad (IND), Karim Schumann (GER), and Jacky Donatz (CH) took their guests on a culinary trip in a 5-course-meal around the globe. 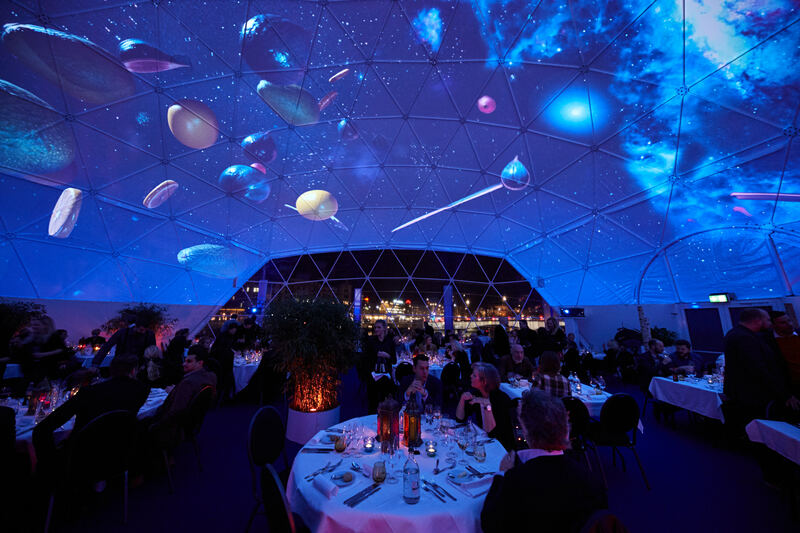 Meanwhile, Projektil transformed the 20-meter-dome into a 360-degrees-screen and extended the excursion to a truly immersive experience for all senses. 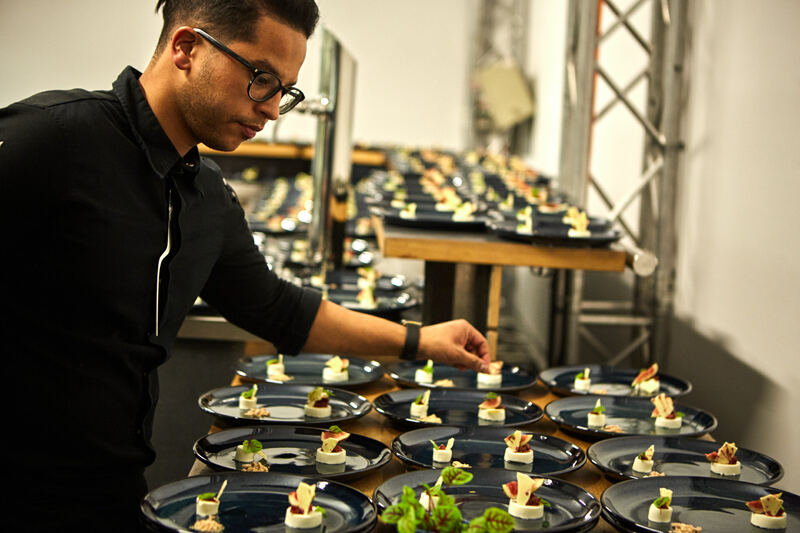 While our partners took care of the well-being of the guests, the five chefs interacted with them virtually through the use of our latest technology and explained their inspiration and the creation of their respective course. 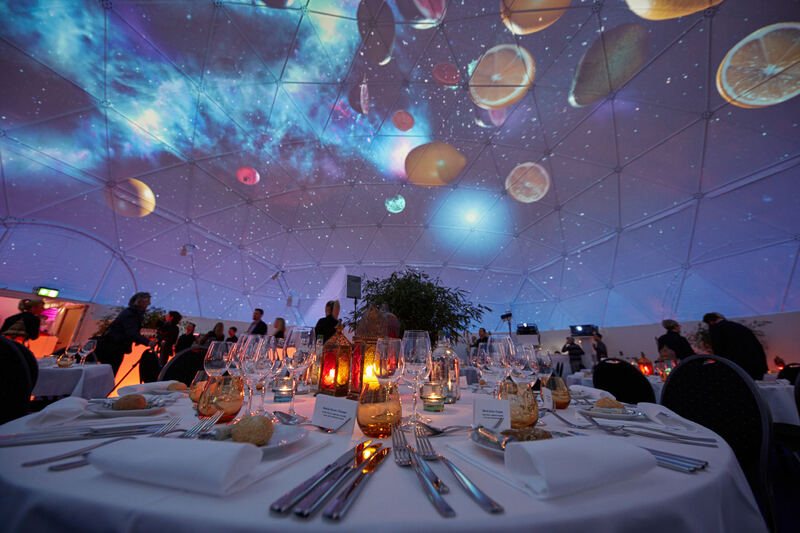 These parts complemented each other seamlessly and led to enjoyment and many unforgettable evenings. 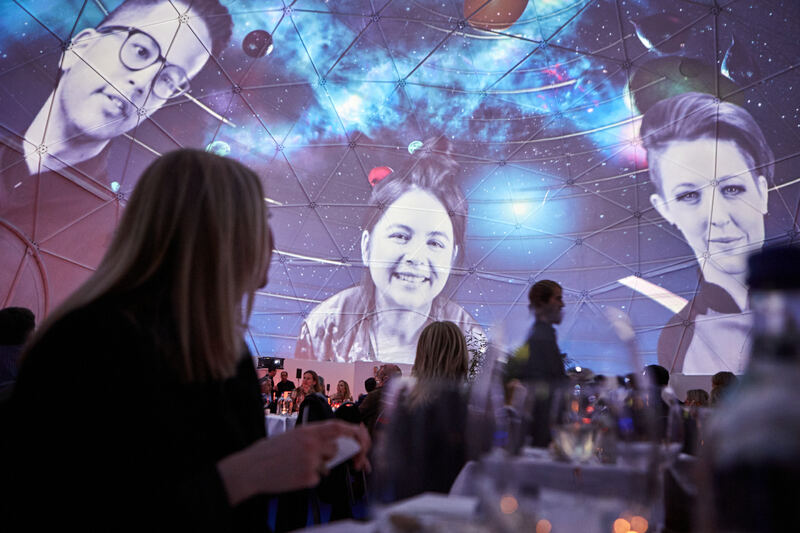 This one of a kind dinner event successfully combined reality and vision into a magnificent spectacle – culinary and visually – and made us hungry for creating more great experiences.